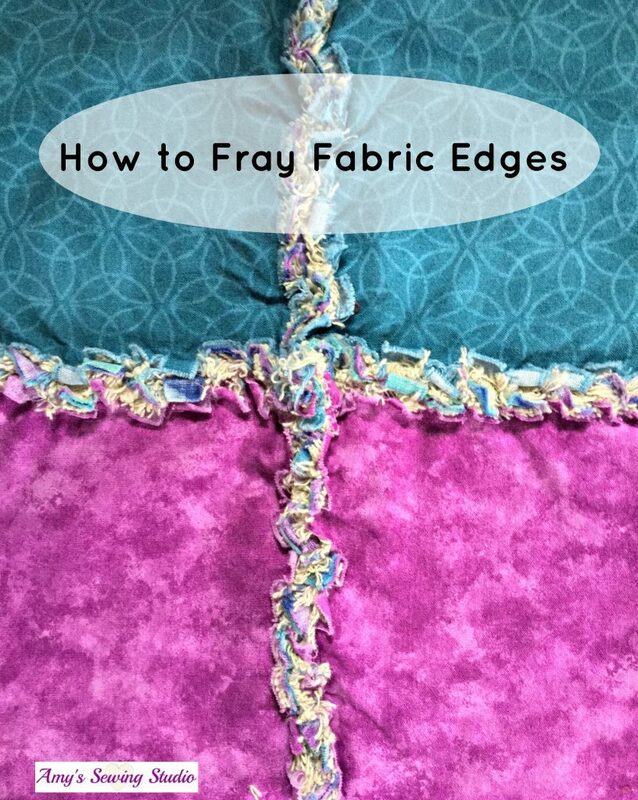 A Sewing Technique that creates frayed edge seams for pillows, rag quilts and other projects. 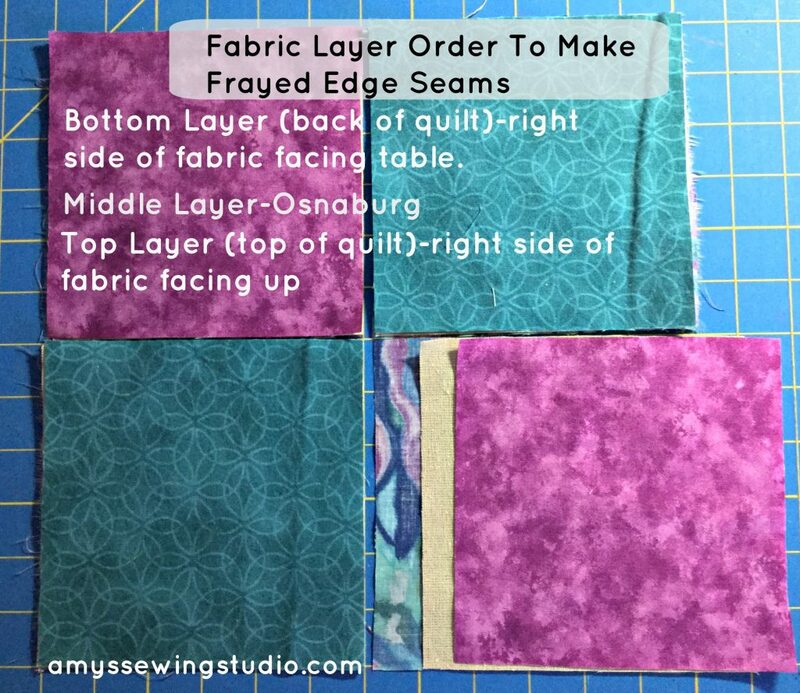 Learn How to Fray Fabric Edges! This fun sewing ‘how-to’ is easy enough for the beginner seamstress! This sewing technique adds a textured touch, has great visual appeal and is a fun way to add some character to your project! The book I have and learned this technique from is called Cut, Sew, Quilt as you go. . 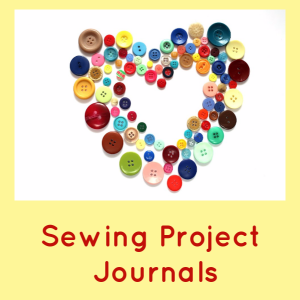 This book has five different quilt designs and one pillow project. I created a lap quilt using the “Stitch-and-Clip” technique in this book. One important thing before you start, fabric needs to remain unwashed! Osnaburg: Loosely woven variation of muslin. Unbleached Muslin can be substituted. 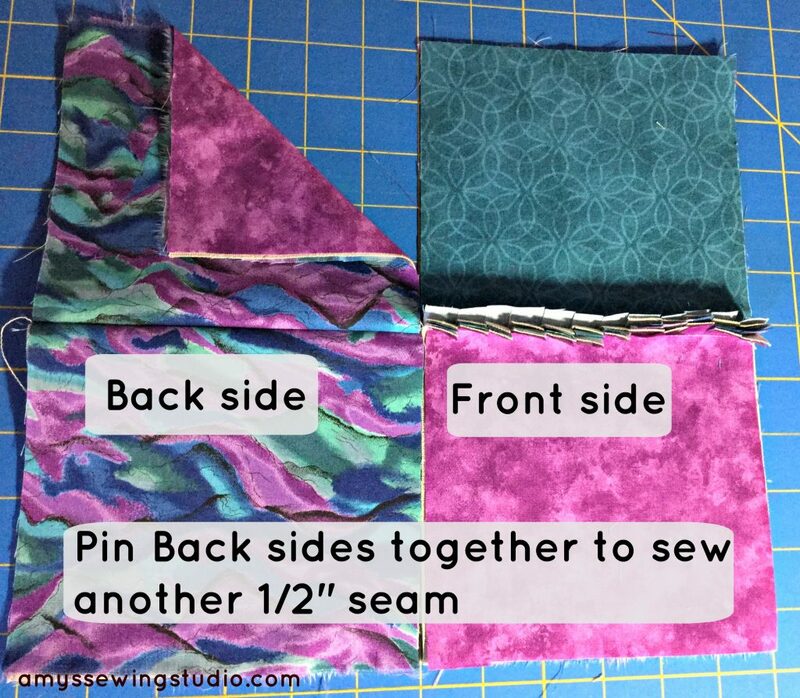 Choose a cotton fabric color for the front and back of your mini ‘rag quilts’ sample. You will then cut fabric pieces and Osnaburg to 5X5 inch squares. (5X5 is a good sample size-feel free to make any size squares you want) If you have cotton fabric scraps and unbleached muslin just laying around, you’re ready to get started! I can just see these fabrics in a lap quilt with the frayed edge technique, with a solid color for the back of the quilt! The first time I made a rag quilt, I used my regular 8″ sewing scissors. My thumb and hand muscles were so sore from all the clips that need to be made for the rag quilt seams. 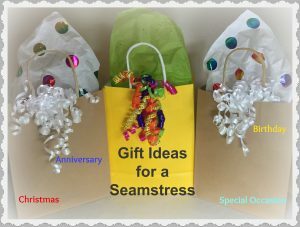 I discovered these heavy duty sewing scissors that cut thru the multiple layers of fabric with ease! Also, these scissors have handles that are molded to fit your thumb to give extra surface area on which your thumb can rest. The same is true for the handle where you place your fingers, there is special molding for your fingers to grip onto while cutting, thus giving your hands a much needed break while snipping. You will have FOUR squares for the back fabric, FOUR squares for the front fabric and FOUR pieces of Osnaburg. 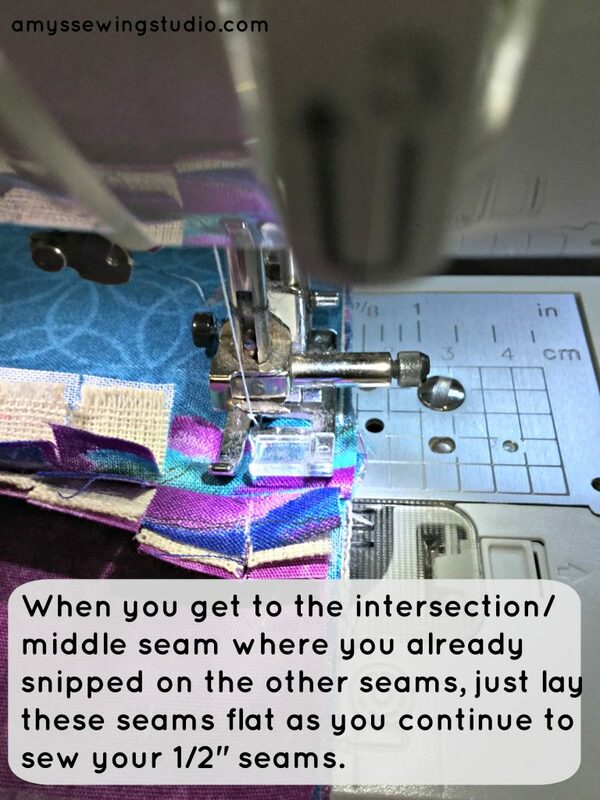 Sew the ‘rag quilt seams’ with a 1/2″ seam allowance. After the seams are sewn, you are ready for the fun part of clipping the seams with the heavy duty sewing scissors. 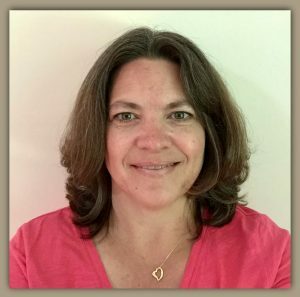 Just remember that the seams will show on the front of your sample/rag quilt project. Now you should have two sets of squares sewn and seams snipped. Looking at the picture above, you’ll just slide the ‘front side’ on top of the ‘back side’ and pin together. 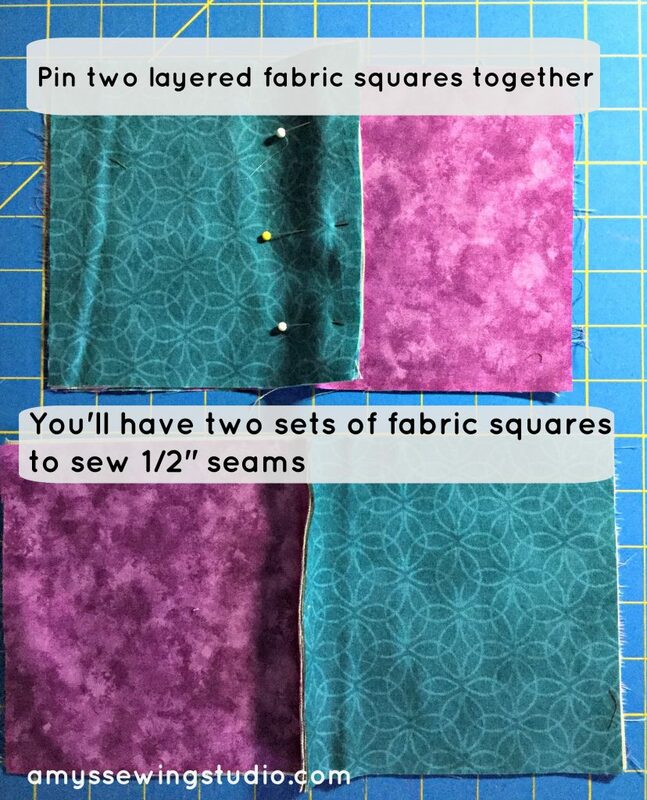 The next step is to sew these two pieces together to end up with four squares with the middle seams sewn and clipped, your finished seams will look like a ‘+’ (addition symbol or cross) and will be visible on the right/top side of your sample. 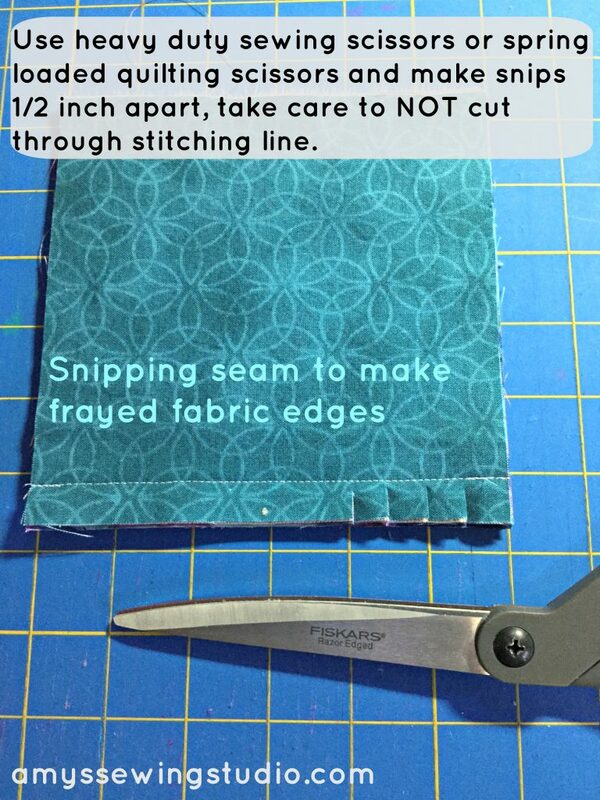 You are now ready to clip the last seam you stitched, snip at 1/2″ increments like before. I would suggest stitching around the outside perimeter of your sample piece before washing. You can also bind the outer edges of this sample. You will then be able to see what a rag quilt project looks like, and use this fun sample for a wall hanging decor! If you liked this fun fabric tutorial, check out my Batik Fabric Scraps tutorial.